Eating healthy during winter isn’t always easy! When it’s cold and wet outside, it can be very tempting to order in some takeaway food or over indulge in those winter warmer comfort foods. To make healthy eating easier during winter, my number 1 tip is to have convenient winter back up meals on hand. These are meals that are pre-pared that you can whip out and heat up, quicker than you can order in your food! 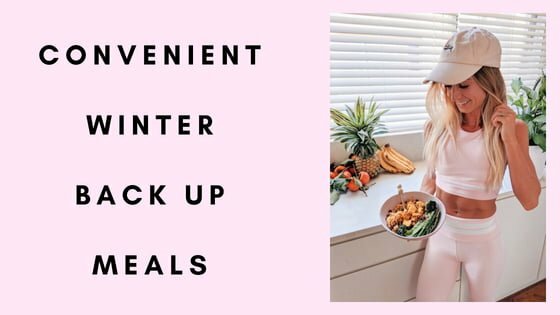 Here are my top 3 Convenient Winter Back Up Meals. Warm, healthy and delicious, veggies soups are a perfect winter back meal! Make them in big batches and freeze for those cold winter nights when you arrive home late and don’t have the energy to cook. 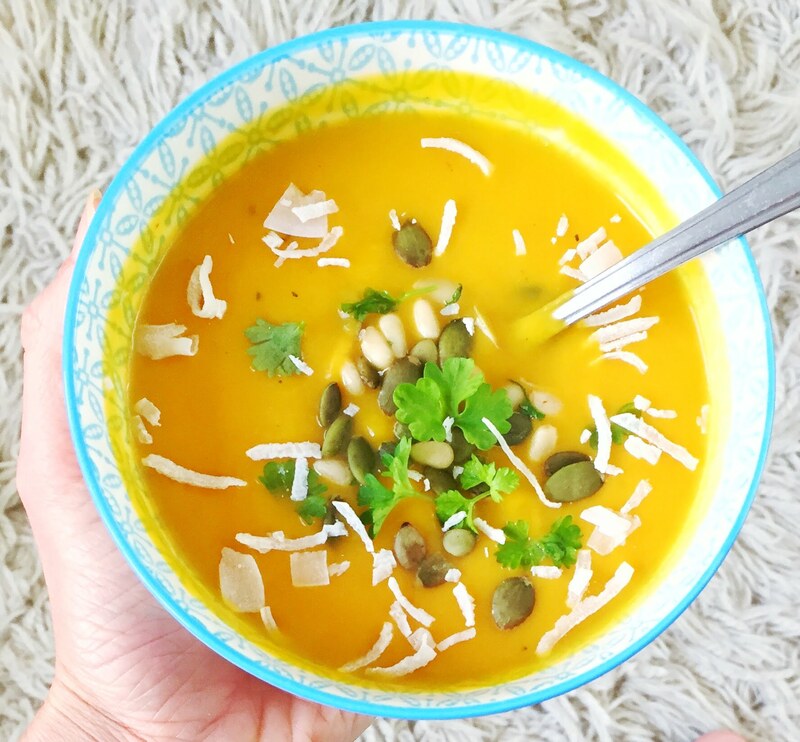 Here are some healthy soup recipes you can try: Creamy Pumpkin Soup with a Thai Coconut Twist and my hearty Veggie Lentil Soup. Loved by health nuts, foodies & busy-bees, Dietlicious has a range of chef-designed meals that are healthy, nutritious and convenient. Made with fresh, natural ingredients & no preservatives or additives, they are an excellent winter back up meal! Dietlicious has healthy meals delivered to your door and have a range of meal options from Breakfast, Lunch, Dinner and Snacks and cater for Gluten Free, Dairy Free, Pescatarian, Vegetarian and Vegan options! I keep a bunch of Dietlicious meals in my freezer ready for the nights where I work late and don’t have time to cook, for the night when I want to go to the gym and come back home for a quick and easy dinner, and for my husband’s lunches too! They are also perfect at the end of the week when we run out of our fresh fruit and veg! Another bonus is that they are healthy meals delivered conveniently to our door without having to shop, plan or prep meals. High in fibre, protein and iron, beans are extremely nutritious and actually count as a serving of veggies! For a quick & easy winter lunch or dinner, grab a tin of beans (and yes, you can use baked beans; I always opt for the salt-reduced baked beans) and heat in the microwave or on stove top while you pop some wholegrain bread in the toaster. Pour the heated beans onto your toast and tah-dah, dinner is done! If you have a few extra minutes, you can stir-fry some onion, garlic & spices, like chili & paprika, in a pan with a splash of olive oil. Add any veggies you have on hand like mushrooms, cherry tomatoes & baby spinach & stir your beans through the mix. Serve on your toast with some fresh parsley leaves on top & enjoy. Editor's Note: This post is proudly sponsored by Dietlicious. All opinions are my own and not influenced  in any way.